The SoftFil® micro-cannulas, a revolution in blunt-tip needles, have now become the reference in the market. Besides the SoftFil Classic range, another range SoftFil Precision has been launched successfully. Cosmetics are also developed to meet the different needs of patients in terms of aesthetics (moisturizing, repulping, skin stretching …). To ensure the maximum reliability of its products, Soft Medical Aesthetics is committed to strict quality controls. This is why the company is certified ISO 13485: 2003 / EN ISO 13485: 2012. The medical devices are marked CE0120. Like its cannulas that are EC certified (CE0120) as well as officially registered in many countries as reliable and sustainable medical devices. All SOFTFIL are on France-health, the on-line parapharmacy specialized in aesthetic medicine , mesotherapy and care: all dermal filler brands, hyaluronic acid injections, cosmetic facial filler, medical devices, pre and post injections, cannulas, thread lift , accessory, beauty care and anti-aging products. 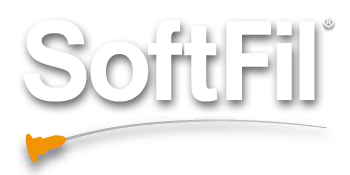 SOFTFIL There are 43 products.